I absolutely adore this idea found at Twig &Thistle. We have been trying to eat a lot healthier in our household, so why not set an example for our children this Valentine's Day by substituting sugary snacks for the 'real' sweetness of fruit! 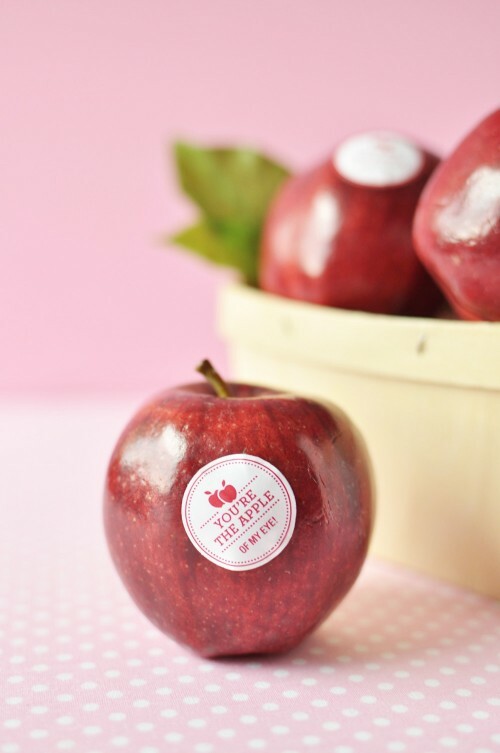 And the best thing for all you non-designers out there, is that T&T is offering a FREE PRINTABLE for you to place on the fruit and give to your special valentine. This project is definitely going on my to-do list with my pre-schooler. And considering the fact that we still have Halloween candy sitting in drawer, perhaps the other parents out there may appreciate a twist to the average sweet treat this Valentine's Day! image snagged from Twig & Thistle.